"Super Tactics of Time Management Experts"
To help you find the Best Watch Stores, TopConsumerReviews.com provides you with an in-depth comparison of Overstock and Brathwait. Where is the best store to buy a watch? No matter what you're looking for - the latest trends, a fitness design that tracks your steps along with the time, or a once-in-a-lifetime gift to commemorate a special occasion - you're not likely to find the best selection at your local jeweler or department store. Brick-and-mortar locations tend to carry only a few select brands and styles. Even if you spend the whole day walking the mall or driving from one store to the next, you're probably not going to be impressed by what's available. It's easy to see why even the most discerning customers are turning to online watch stores for their purchases. The world's widest selection of styles and brands is just a click away. For almost 20 years, Overstock has been one of the internet's biggest retailers. They're eager to provide you with high-quality merchandise ranging from home goods to fine jewelry, while still remaining committed to giving back to their community - and to the world - through programs like Worldstock and Overstock Pets. And, when it comes to watches, Overstock's selection is unparalleled. We're not kidding when we say that they have something for literally everyone. Men's watches? You've got over 11,000 options. Women's? Still impressive at over 10,000 in stock. Materials: Leather, stainless steel, gold, metal, etc. Closure Types: Buckle, deployment, push-button, jewelry, bangle, etc. Once you've selected the watch that interests you, you'll find detailed information about it as you scroll down, including any warranty details and dimensions for both the watch and the box that comes with it, and images showing the watch from multiple angles. You can also add it to your gift registry or to your favorites list, if you'd like to come back to it later. As an added bonus, check out the customer "reviews" on some of the more expensive watches. At the time of our evaluation, the highest-priced watch we found was the IWC Men's Portuguese Repeater White Gold Watch, selling for a bargain price of $67,662.49 - a savings of almost $25,000 compared with the list price. If that has you scratching your head, wondering who would pay that much for a watch, you're not alone - and the resulting customer comments are comedy gold. Overstock's return policy on watches gives you 30 days from delivery. Not surprisingly, the watch needs to be unworn, non-altered, and new in order to qualify for a refund. Your return will need to be returned with a trackable shipping method, and you'll have to provide the tracking number to Overstock. You should also insure your return if the watch is valued at $500 or more. Overstock will thoroughly inspect the watch; your refund may be less than what you paid if they find any blemishes or wear. For most watches, shipping will be free: Overstock offers complimentary shipping to the lower 48 United States for all orders of $45+, or a flat rate of $4.95 if your purchase is less. If you are a frequent shopper at Overstock, you should consider their Club O Gold rewards program: for $19.95/year, you'll earn 5% back in rewards and get free shipping on every order. If you enjoy a good discount, keep your eyes open: we got a pop-up offering a 15% discount for signing up for their email newsletter. What we really appreciated was that the pop-up told us that the specific watches we viewed were eligible for that savings: we all know how annoying it is to be given some kind of promotional deal, only to find out later or in the fine print that what we wanted isn't included, right? Even though Overstock doesn't specialize in watches, they've done an incredible job of bringing the world's best to you, just a click away. From entry-level to height of luxury, the watch selection offered by this retailer is unmatched by any other store. 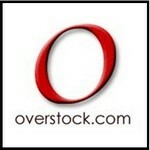 Overstock should be at the top of the list when deciding where to shop for your new watch. Brathwait seeks to provide men and women with elegant, premium watches "without the luxury markup". In their design and marketing alike, this retailer aims for simplicity, luxury, and transparency. Will you find what you're looking for at Brathwait? That depends. If you want a fitness watch, an entry-level wristwatch, or a variety of brands to choose from, the answer is "no". On the other hand, if you're specifically shopping for a classic-looking, minimalist design, especially with automatic winding, Brathwait may be worth considering. Customer reviews of the three Brathwait watches are mixed. With the automatic model, some wearers complain about the amount of noise that it makes, even compared with other automatic models by other manufacturers. We also found some comments that the watch straps aren't always suitable for people with larger wrists. On the other hand, many customers praise the construction, quality, and look of Brathwait's timepieces and were very satisfied with their purchase. We found Brathwait's return policy to be somewhat confusing. At first, we were excited to see their "try-before-you-keep" policy, until we read that the watch has to be unworn in order to qualify. We're not sure how you try a watch without wearing it, especially for the automatic watches that rely on the wearer's movements for power. In general, however, Brathwait's return policy allows for returns within 30 days of delivery, and they cover the cost of the return shipping. On a more positive note, Brathwait has a 12-month warranty and free worldwide shipping on all orders. We appreciate these customer-friendly policies. Brathwait watches do seem to be well-made, stylish, and appropriately priced. But, if you're looking for a variety of styles, brands, or price points, this retailer probably won't meet all of your needs. From dressy, luxury timepieces designed to accessorize with style, to wearable tech that helps you stay connected, you'll find it all online - with the same warranties you'd get when purchasing at a local retailer. Another reason to use an online watch store is price. Because these merchants typically don't have a physical storefront, their overhead is much less - and that savings is passed along to the customer. And, many online retailers offer a price match guarantee, so that if you should find your desired watch elsewhere at a lower price, you can rest assured that you're not spending more than necessary. Selection. Does the retailer have the brand(s) you want, as well as several styles within that brand? Do you have enough of a variety to choose from? Shopping Experience. Is the online store easy to use? Can you find what you're looking for? Is the ordering process smooth? Does the site help you be well-informed about the watch you're buying? Price. Are the prices competitive with other online watch stores? Is shipping included? Are there any other incentives that can save you money or enhance your purchase? Reputation. What do other customers say about their experience with the online watch store? Is the company rated by and/or accredited with the Better Business Bureau? Satisfaction/Returns Policy. If you receive your watch and it doesn't meet your needs, can you get a refund? Is there a restocking fee? Is the company responsive when customers have complaints? TopConsumerReviews.com has reviewed and ranked the best watch stores available today. We hope this information helps you to find the best watch at the best price right away!